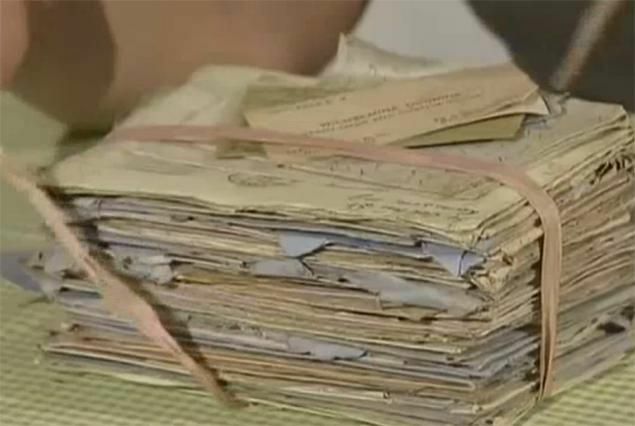 Here’s the last set of letters sent from WWII Army Medic, Marty Mitchell to his darling, AJ. The war is coming to an end. In the spring of 1945, the Fifth Army amassed more than a quarter of a million men for its final push north. It was the beginning of the end. Mitch could feel it. “Your letter was wonderful. Oh! Anne it did so much for me. The men know that they can ask for almost anything on the days that I receive a letter from you. I can tell I have a letter from you before it gets into my hands because the mail clerk has a big smile when he comes up to me. The war news is wonderful. It should be over soon. It would be a great gift from God if it would end before Easter Sunday. But the war was never far away. … Oh! Anne I am praying for this war to end and to get home to you. The way it looks now Hitler is going to fight until the last German. I can’t understand how a few men can have such control over a country when the majority know that they are fighting for a lost cause. Such useless loss of life and limb. The Germans were supposed to be a smart race but … When they picked Hitler, that – – – – (fill in anything as long as it is real bad) is beyond me. When you receive this letter we should be working real hard. Remember my sweet that I am always thinking of you and that you have all my love. By April 1945, Mitch and the men of the Fifth Army were working real hard. The final push of the war was underway. The combined might of the U.S. Fifth Army and British Eighth Army broke through the remaining German forces and poured into the Po Valley and up to the foothills of the Alps. Finally, on May 2nd, the war in Italy was officially over. Mitch witnessed the victory and the final defeat of their implacable foe. Darling this is the first opportunity I had to write you since the wonderful defeat and surrender of the German Army. They were really beaten and out maneuvered. During this last drive we had many close calls and there were a few night that I will never forget. The Bn. (battalion) was very lucky not one man was lost. The first few days were very rough, but then prisoners started to roll in by the thousands. Oh! It was wonderful to see. We all knew that the end was in store a week before it was announced. When it did come there was very little celebrating. Did the people at home do much in the way of celebrating? Our greatest thrill will be landing in the good old U.S.A. where our loved ones are. My sweet I will close this letter as I have been interrupted so many times. Hoping to one of the lucky ones and home soon to you. After the long Italian campaign, Mitch and the Fifth Army stood as victors but at a great price. By the cease-fire of May 2, the Fifth Army was engaged in continuous combat for more than 600 days, more than any other combat group during the war. They fought through rugged terrain, harsh, bitter weather, and a skillful and determined foe. It was a dogged advance of hundreds of miles. Throughout the war, the Fifth Army suffered more than 100,000 causalities. Who knows how many Mitch’s unit were treated. Years after the war, Mitch took A.J. and his sister Peg to Italy and showed them the places where he served. Peg recalled a story Mitch told during that 1984 visit. They also visited the American cemetery at Anzio. “It was sad” A.J. would say “hundreds and hundreds of crosses.” These were the ones who didn’t come home to their sweethearts. Mitch was 27 when he entered the service and 32 when he got out. He gave some of the best years of his life, but he knew others who had given the “last full measure of devotion” would not be coming back. Mitch like millions of other soldiers faced the dangers and witnessed the horrors of war. This generation – called the “greatest” by some – rose to the challenge of their age and defeated the tyranny threatening the world. But Mitch, like many veterans seldom mentioned the war when he came back. There was a family to raise and a country to rebuild. The war was over but the romance went on. With Tom as his best man and Elly as her bridesmaid, Mitch and A.J. wed on November 17, 1945. Like many other young couples after the war, they lived in various places for a while including the Hotel Edison in Lynn, Mass., for six months. But by the fall of the next year, they settled into their first new home, an apartment right on the border of Lynn and Swampscott, Mass. It looked out over the Atlantic, the same ocean that kept them apart for three long years. But now they could walk its beaches and build the life they had longed for, hoped for, and prayed for. This new life deserved a good start and one last letter. I thought it would be proper and nice for me to be the sender of the first letter to you in our new home. What memories are running thru my mind — Of the places where I used to be, and how far away you were when writing to you and how close you are now. This being my first letter to you since our marriage seems very strange esp. after leaving you this morning, in fact after just talking to you on the telephone about a chair for our home. I wish so much for you and me. I hope that God will be good to us and protect and bless our home. I desire your happiness so much. So my darling I wish you all the best in our new home. God answered Mitch’s prayer. He was good to them. He gave Mitch and A.J. four children and later seven grandchildren. They lived through the Cold War, survived the tumultuous ’60s, endured financial setbacks, physical ailments and met the challenges of raising four children in an ever-changing world. Through 53 years of marriage, two constants remained: their unshakable faith in God and the enduring love they shared. It’s been years since they’ve been here. But when their children re-discovered these letters – this long silent heritage come alive, they bore witness to the love that survived between Mitch and his “dearest” A.J. Used with Permission: @ Dearest AJ.